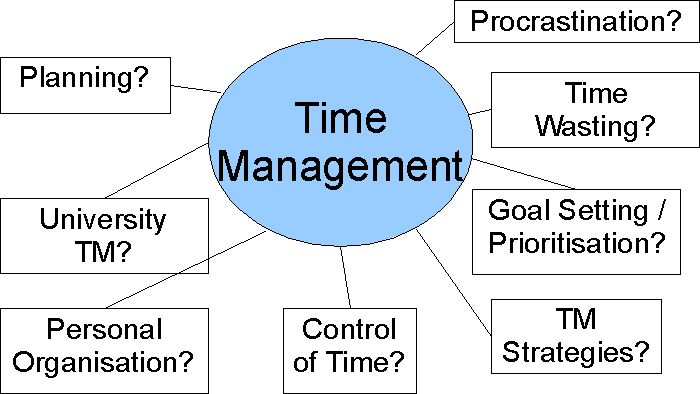 Simplifying Time Management. Here are my 4 “special sauce” easy steps. How do you stay on task, whatever you are doing, family, personal or business? Are you a “list maker”? Are you a “Mind Map” creative? Are you an agenda “worm” (LOL)? Paper or Techy? What is your secret tool to ensure you are effective? You struggle to create the life you’ve always dreamed of. You’re tired of feeling like you’re chasing your tail: you don’t get enough sleep, keep skipping exercise, and either break your commitments to people or keep them but feel distracted the whole time thinking about everything else that you need to get done. Have you ever felt that there’s just not enough time in the day? Can you believe that 90% of people admit to not achieving the tasks/goals they set for themselves for the day? √ 61% of people can’t ignore their electronic devices, they check notifications within the hour of having received them! √ 81% of people admit to interrupt family, friends and work conversations to check on social media updates! It is a wild jungle out there full of “shiny objects” that distract us from our purpose at hand….so how do we set ourselves up for success? Believe me, I GET IT. That is why I am a FULL advocate of writing down your goals, of establishing what things are non-negotiable in your life. This is powerful because most often, the reason we run out of time for projects or pursuits is that we’ve spent a lot of time lost in ambiguity. Yes I have been there and at times still fall into the trap! So here are a few tips to address this. On one hand looking at the bigger picture when we are being ABSOLUTELY crystal clear about what you want to do helps us in aligning our actions to realize the biggest progress in just a short period of time. Every decision is simple, it either supports our non-negotiable’s or it doesn’t. We don’t spend any time in doubt. On the hand, there is the reality of daily life. I love this small graphic by the side. When I took my MBA we learned many 2 by 2 matrixes and this one is a powerful one. Basically in a day there are important and unimportant things that catch our attention and there are urgent ones and non-urgent ones. 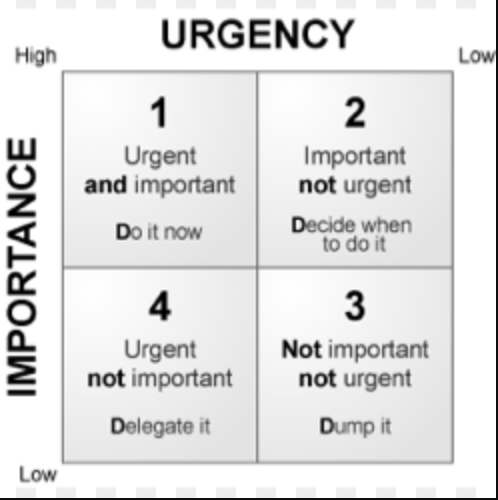 The key is to address the Urgent and Important ones and do them, decide when to take care of the Non-Urgent and Important, delegate the urgent but non-important and drop the non important and non urgent! A good one huh? 1. Once you are clear on the above you PLAN YOUR WORK. Get your tools in order make sure you have everything you need to get started. What do you need to do this job right? Go and get it. Ask yourself where you want to be on X date and establish a deadline. Then plan the steps backwards from there. Take action following your outline step-by-step. If you get lost or distracted, come back to your outline and see what’s next. 4. Keep connecting with your inner compass. How are you feeling? Are you DOING as an obligation or are you in your “passionate” joyful state of doing? If you find yourself in the “should and musts”, stop, take a break, ask yourself what set you off track and reconnect, realign and re-set yourself. Dare to dream big, dare to set your goals high, dare to reach for that happiness that is yours by divine right.